Thanks so much! 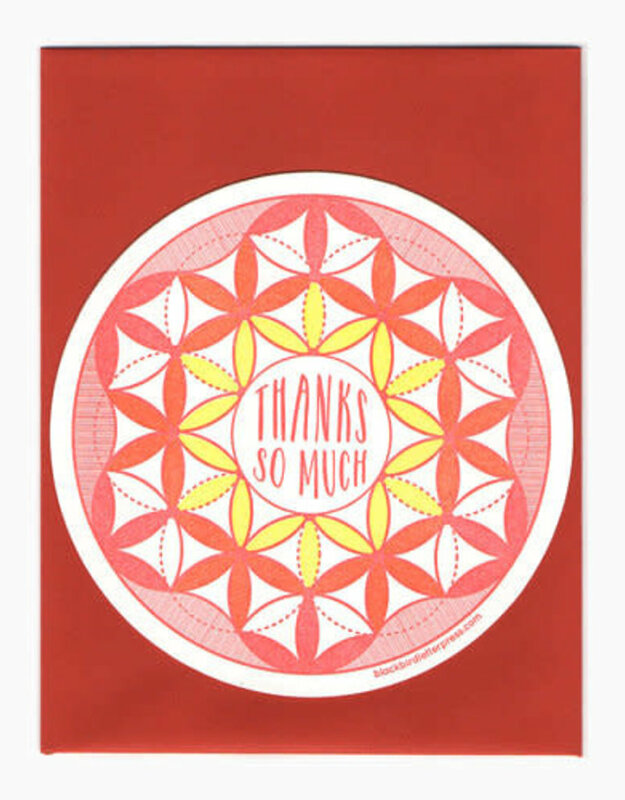 Remember what your mom always told you, "send a thank you card". 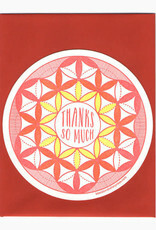 This card is letterpress printed in red and yellow ink on cotton paper and then die cut in house. 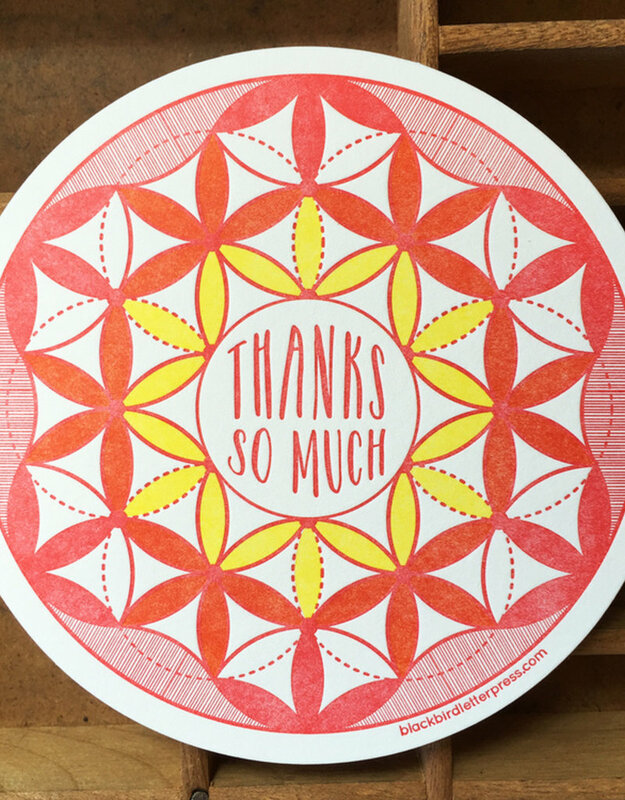 It measures 4.25" in diameter and is a flat circle shaped card. 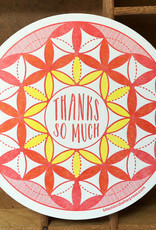 Each radial patterned card is blank on the back (perfect for writing a note!) and comes with a tangy orange recycled A2 envelope. Each card is packaged in a cello sleeve.